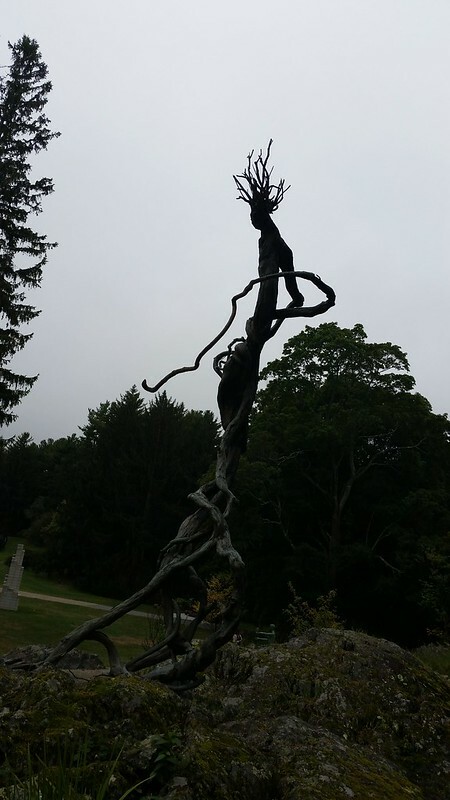 A sculpture made of vines to look slightly humanoid at the Decordova Museum. Another fun sculpture from The Decordova Museum. I always liked this one even before the character Groot from the Guardians of the Galaxy film. It's amazing how easily something that we don't think of as a human can quickly take on humanoid features. It's probably also an aspect of my upbringing (heavily influenced by fantasy novels) that I can look at this sculpture and see a fully realized being, replete with backstory, personality, and aspirations. I wonder if there is somewhere that has created an entire army of such creatures for people to wander around and encounter in a park.